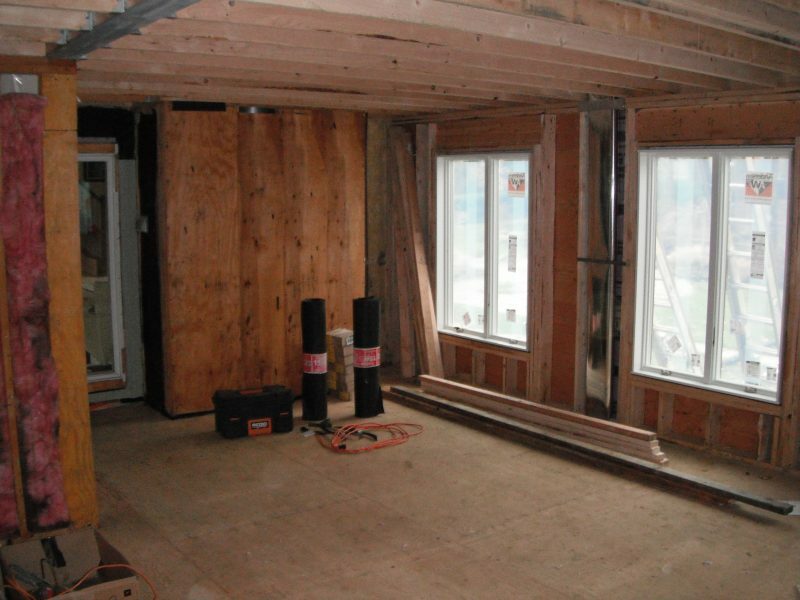 Exterior of Two-Story Addition in Moorestown, NJ | R. Craig Lord Construction Co. The closing in or completion of the exterior is an important milestone for any project, but in the winter with the threat of bad weather it is even more important. At our Addition in Moorestown, NJ, the team at R. Craig Lord Construction is installing windows now that the 50 year fiberglass roof has been installed. 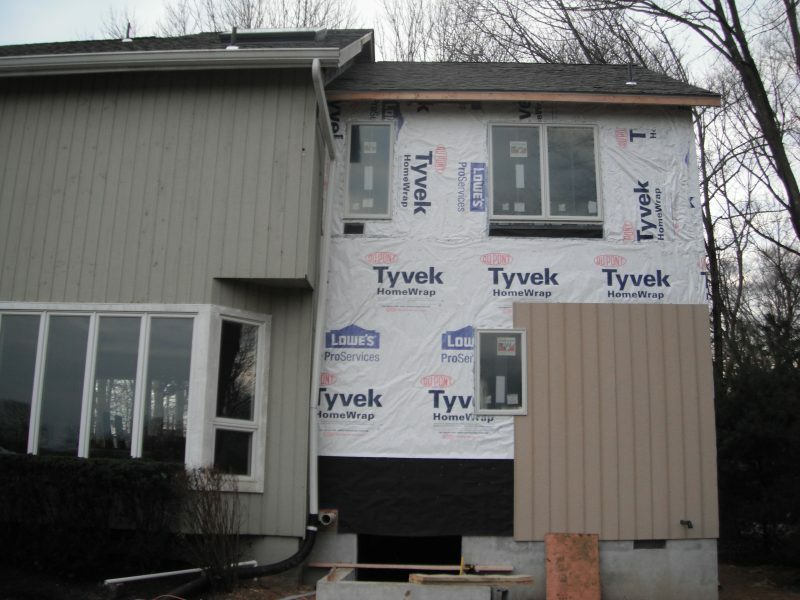 The addition has been wrapped in building paper in preparation for the LP verticle siding. Once these tasks are complete, we can work regardless of the weather. 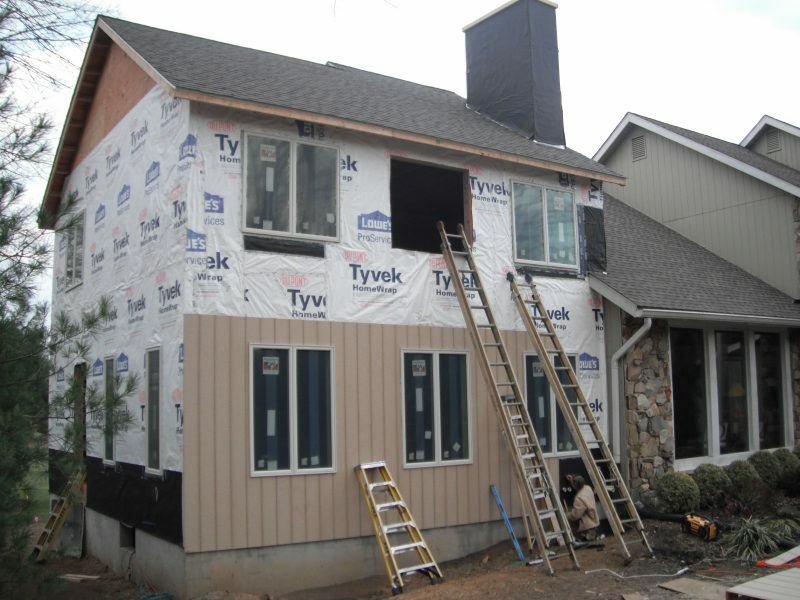 From the back, you can see that the new Andersen Casement windows (the same as in the front) have been installed and siding is beginning to go up. The roofline has been integrated with the main house. It won’t be long until the exterior is complete. 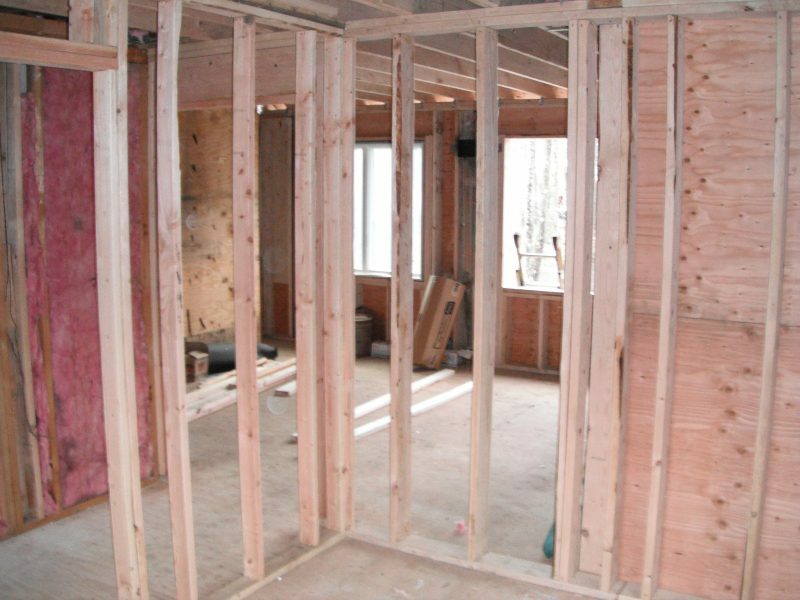 Following the Architectural Plans, the interior walls and entryways are framed. Now, the spaces of the rooms are coming into view. Thinking about an addition? Often homeowners will have specific questions relevant to their needs and type of home. 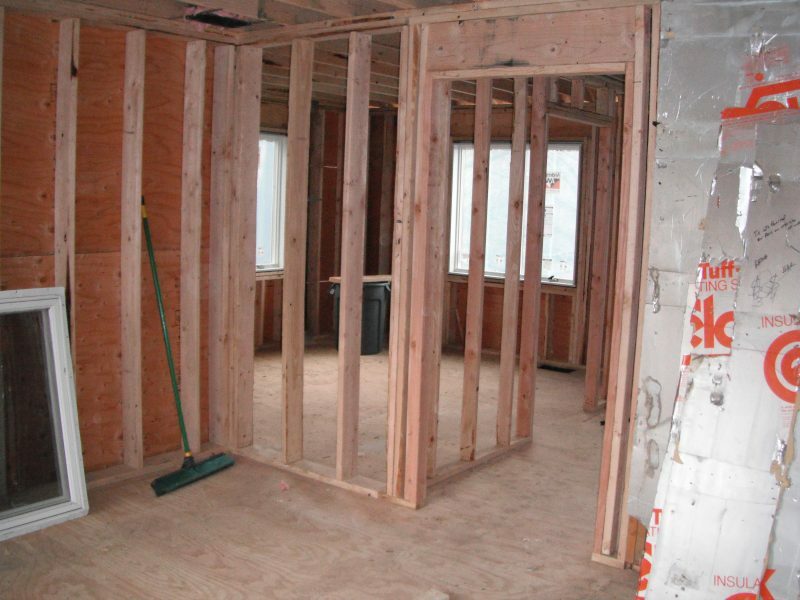 That’s why R. Craig Lord Construction Company offers in-home consultations in Moorestown, NJ and the surrounding area. Give us a call at (856) 235 – 4237 or contact us online at www.rcraiglord.com.